The first annual Ōtaki Summer Camp is coming up. The lineup is huge and it’s just the burst of epic ideas, action and summertime goodness we need to kick off 2018. 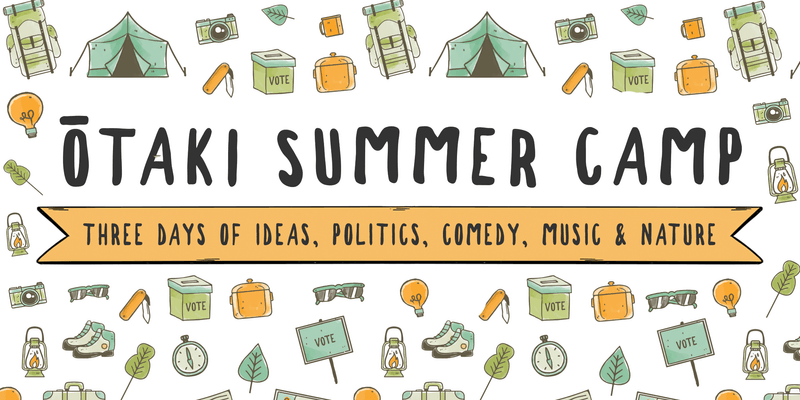 Ōtaki Summer Camp is for young people who care about issues facing Aotearoa (housing, environment, and freedom of speech to name a few). It will bring people together to hear and talk about ideas and politics and, most importantly, build connections and a sense of community amongst people who are working towards positive change. There will be music, comedy, and time out in nature. We have been given the whole of Ōtaki College to use, with free camping on the school playing fields, and food organised by locals who share our kaupapa. We are expecting hundreds of to attend. 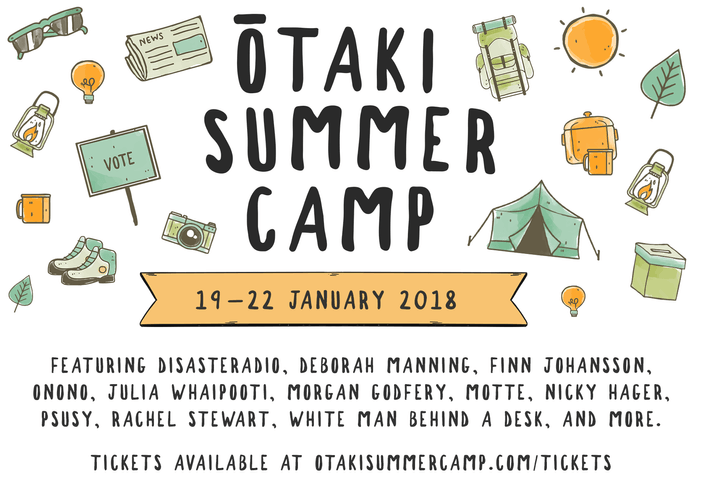 It’s important that Ōtaki Summer Camp is accessible to everyone and so we have kept the ticket price as low as possible. We also have scholarships available. Tickets are just $95 which gets you three action-packed days of speakers, music, comedy, poetry, and adventures to local rivers, forests, and the ocean. It also includes food (provided) and accommodation (camping or shared marae-style). The camp is aimed at people aged 17 - 30 but if you are a little over 30, please feel free to come. If you are under 17 or over 35 you’re welcome to make a special application. - Finn Johansson and more!